I'm in a "Missional" state-of-mind today. 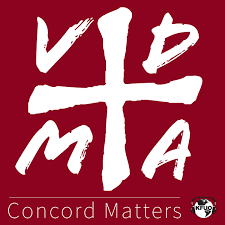 That is, it's been quite awhile since I said anything about the so-called "Missional Movement" within Christ's Church and particularly within the Lutheran Church-Missouri Synod (LCMS) and I think it's time to revisit the subject for just a bit. There's one Lutheran Pastor I discovered who penned what I'm going to call a "must read" type of reaction to the un-Biblical (yes, "un-Biblical") so-called "Missional Movement" as it currently exists in so many of our churches today. Again, it's really one of the best articles I have found on this subject so far (and from a distinctly Lutheran perspective) and it was written back in 2012 by Rev. Lucas V. Woodford at his thisweconfess blog. However, as of late, many in the Holy Christian Church, and notably in my own Lutheran church, feel that the church has lost her way, that the mission of the church has somehow been displaced. As a result, a new movement has emerged. It’s called the Missional Movement. I’ve already written about it at some length. But it needs continued dialogue. Many are still confused about it. Many are frustrated it’s not being embraced. There’s even much discussion about using the word "missional" itself. It’s a new word. Some like it. Others don’t. 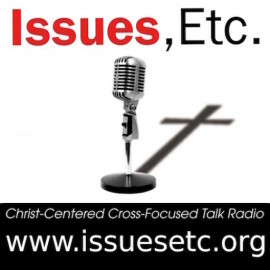 Does it describe a behavior or imply a particular theology? Not everyone is sure. In short, we need to talk. However, as of late, many in the Holy Christian Church, and notably in my own Lutheran church, feel that the church has lost her way, that the mission of the church has somehow been displaced. As a result, a new movement has emerged. It’s called the Missional Movement. I’ve already written about it at some length. But it needs continued dialogue. Many are still confused about it. Many are frustrated it’s not being embraced. There’s even much discussion about using the word “missional” itself. It’s a new word. Some like it. Others don’t. Does it describe a behavior or imply a particular theology? Not everyone is sure. In short, we need to talk. At its core, the desire is to get the Gospel out. This is, of course, an awesome thing to do! However, as we will also find out, the understanding of the Gospel does not have uniform agreement or understanding within the Missional Movement. In short, the paradigm being offered attempts to organize the ecclesiology of congregations (i.e. church governances, organizational structure, and their defining purpose) in a way that is entirely focused on getting the message out to the lost. Part of this includes the emphasis on “making disciples who make disciples” though what those “disciples” actually look like is also not always agreed upon. I told you it was good stuff! Now, consider that this was 2012 -- or 3 years ago already -- and this problem has only gotten worse with the whole FiveTwo "Sacramental Entrepreneurs" nonsense. His attempt to theologically back up this assertion reveals a distinct difference in how his “missional” mind understands the desire of God and how Lutherans understand the desire of God: “God desires His church to relish in His glory, share His glory among the nations, and reflect His glory in word and deed. The church is a Body made in His image, sent on His mission, to be His glory!” (p.9). The glory of God is not explained in terms of the forgiveness of sins through Christ (central for Lutheran theology), but rather in people coming to worship God. In other words, it appears that according to this paradigm, missional churches do not emphasize the forgiveness of sins, but rather that people are to praise God, worship God, and give God glory. “Their passion is to see the people of all nations worship God” (p.122). To be sure, worship of our Creator and Redeemer is indeed a salutary and proper activity. But Lutherans recognize worship consists of things far greater than our human endeavors of praise and adoration, and can only occur because of God’s gracious activity toward us. This approach should not be surprising. It would only be consistent with the non-sacramental nature of Baptist and nondenominational theology, (i.e. that worship is all about the human action of giving praise and glory to God, not about God serving the forgiveness of sins and the gifts of His grace—Word and sacrament worship in Lutheran parlance.) This would also help us understand why he emphasizes the importance of his missional practice number four: Rewrite Worship Every Week (p.65-75). Though he says “worship is about content, not form” he still emphasizes that missional churches are to “make sure worship stays fresh” so that a “relevant” connection can be made with worshipers (p.66). Thus, by theological default, the emphasis of this missional paradigm is repeatedly on the law—what we are to do. As such, if we are being honest, this creates friction for Lutherans. It sounds an awful lot like far too many of our dear brothers and sisters within the LCMS have been reading non-Lutheran "Missional" books like that one, doesn't it? Law And Gospel Or Just Law? Consider what he says are the four “dimensions of missional churches.” These are what establish the heart and soul of being a missional church—what it is and what it does: Dimension one: Love God—worship and obey. Dimension two: Live His mission—serve and share. Dimension three: Love people—embrace and invite. Dimension Four: Lead them to follow—equip and empower (p. 16-26). 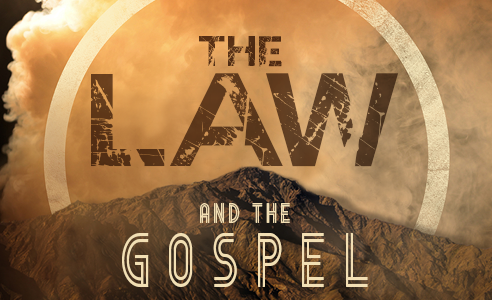 Nowhere is the Gospel clearly declared, at least not as Lutherans understand it. Again, the emphasis is all on the human action rather than on what God in Christ has done and is doing. In fact, from a Lutheran perspective, the Gospel is made into a law—do this, do that—love, live, lead. To be sure, those are sanctified activities and even part of the works that God has in advanced prepared for us to do (Eph. 2:10). But that is not the Gospel. The saving work of Jesus Christ is the Gospel. Ironically, the book is titled Shaped By God’s Heart, but seems to have missed the mark of what makes God’s heart beat, (not to mention the marks of the church)—namely, the justification of the ungodly in the cross of Jesus Christ; the forgiveness of sins regularly doled out through Word and Sacrament. Instead, the Gospel is depicted as activities that must be done by those who are “authentic” disciples of Jesus. (By the way, does this mean that non-missional folks are not authentic or real disciples? He is fond of backhandedly indicting those who are not missional: “Missional churches are communities of authentic disciples. These churches take discipleship seriously.” p.45. Does this mean that the rest of us don’t? Unfortunately (and perhaps ironically) sin and repentance are dealt with very little in this paradigm. At one point, Minatrea depicts repentance as a past act with no apparent continued need, where it is portrayed more as a part of a past church culture, rather than as a vital part of “authentic” faith. I believe his aim is to challenge the prescriptions of a particular church culture (which can be a fair approach), but in so doing he reveals that the forgiveness of sins is not necessarily central to “missional” congregations (which would not be a healthy approach). Rather, being missional seems to mean that a person is someone who gets others to know who Jesus is; know his love (whatever that might mean) and what he did a long time ago on the cross, but not necessarily know the ongoing effects of sin and the need for the forgiveness of sins today and tomorrow. In other words, the life of evangelism, not the life of repentance, is the core of the “authentic” disciple’s life. Regardless of the book author's aim, it's downright tragic when this kind of thinking has seduced the hearts and minds of life-long Lutherans at an LCMS church. At this point, you might think we'd be hard-pressed to find something even worse about this Missional Movement than the fact that it clearly distorts Law and Gospel not to mention to purpose of Christ's Church too. However, even more disturbing is how it subtly subverts "the faith that was once for all delivered to the saints" (Jude 1:3) by attacking the very nature of Christ's Church itself under the guise of "Saving Souls" as Missionalists fueled by a misunderstanding of the so-called "Great Commission" are so apt to do. In the end, this is what concerns me about this movement. Confessional Lutherans maintain the nature of the church does not change. This missional paradigm says it does. If we are being honest, we would have to acknowledge that, at a minimum, this poses some very significant concerns. Ultimately, this is what makes the book, along with many elements of the movement itself, so disenfranchising for me as a Lutheran. Minatrea claims the missional church wants to work with all churches, and not compete with other churches since they are “members of the same team” (p.135). However, I find it troublesome when he notes that “moving to missional is a deep change that is inherently difficult because it requires leaving established ways of doing things” (p.173). Sometimes there are things that are not up for debate. There is not the option to leave them. Thus, I occasionally wonder if we are really on the same team when there are such disparities of understanding the Gospel. Is the Gospel Jesus’ work for me or my work for Jesus? Lutherans say it’s the former, this missional paradigm says it’s the latter. Leaving the way of Jesus “for me” is to leave the way of the forgiveness of sins. That’s not an option for Lutherans. This is by no means to disavow all non-Lutheran Christians. 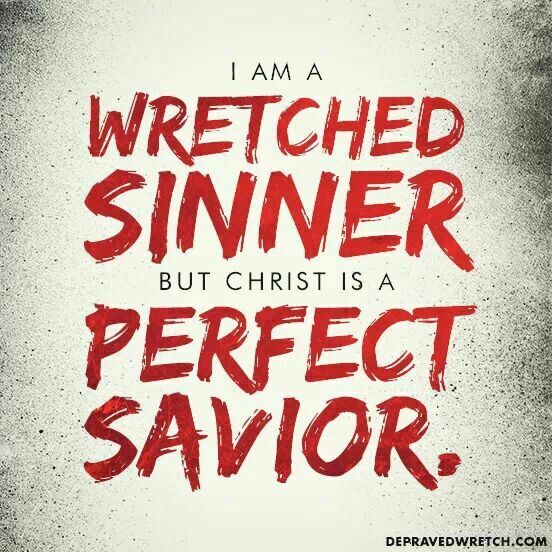 Rather, it is to simply affirm the clarity of the Gospel—the forgiveness of sins earned by Christ—for the sake of God’s kingdom and the sake of those sinners called into it. 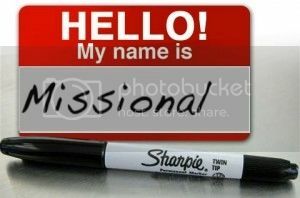 At the end of the day, do we really know what we're confessing when we sign up for "Missional" themed activities at our church? Do we really understand what we're asking our brothers and sisters in Christ to confess by joining this "Missional Movement" with others who are caught up in it? Do we really recognize the key differences between a Missional mindset and a Lutheran (a.k.a. Biblical/Christian) one? It has been my observation that there is a significant amount of pressure to be “missional” even though not everyone agrees or understands on what it actually means to be missional. Nonetheless, congregations and pastors are being evaluated and assessed (implicitly and explicitly) on how “missional” they are. This book itself has multiple missional assessment tools after each chapter that can be used to measure pastors’ and congregations’ missional effectiveness. I will acknowledge that tools can be helpful to take stock of a congregation’s situation, however this particular mode of measurement would seem to be foreign to Lutheran theology and practice. 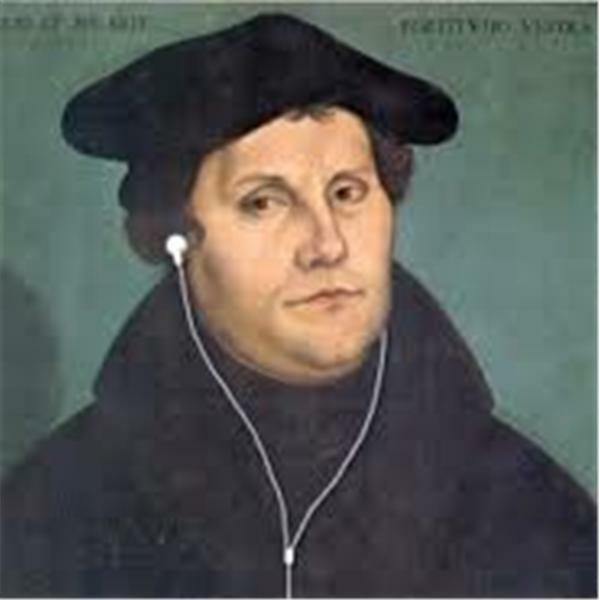 It does not lend itself to creating a unified atmosphere of Lutheran ministry, but would rather seem to divide and label by way of a new emerging (and yet uncertain) movement. As a result, those that are not be deemed to be “missional” (either by choice or by circumstance) end up getting looked down upon. Very often they are then viewed or labeled as inferior. They’re seen as upholding a “maintenance” congregation. They get a mark against them and, for some, are seen as a hindrance to “real” ministry. The intent of such measurements may indeed be sincere. But such resulting labels are unfortunate, particularly in view of Minatrea’s own warnings. In the end, if measurement tools are going to be used, at least from a Lutheran theological and practical perspective, I wonder how pastors and congregations would feel if they were to be evaluated by similar tools on whether they are being truly Lutheran? I know, its a touchy statement. But it draws out the accusatory slippery slope we risk when utilizing such assessment tools. I believe the Missional Movement desires to get congregations headed in the right direction. I just think Lutheran theology has been pointing us there long before this movement came along. As always, I invite your collegial and constructive comments as we seek to dialogue about what it means to be a 21st century Lutheran who “desires all people to be saved and to come to the knowledge of the truth” (1 Timothy 2:4). Amen! If the Missionalists I know are truly sincere about "Making More And Better Disciples of Jesus Christ!" then they better be willing to demonstrate that by their actions. Otherwise, it's the height of hypocrisy to say you're for one thing, and then recoil in disgust the minute anyone actually tries to disciple you for the better. Thus, it should be clear that I’m not trying to be elitist, snobbish, or a preservationist. I simply desire to affirm the Lutheran principle that doctrine and practice go together; that doctrine is not negotiable, that Christ is central, that sinners need to be forgiven, and that life is very often much more messy than what this missional paradigm seems to acknowledge. In a Lutheran layman's terms, though the intention is good and sincere, the real and resulting mission behind being "Missional" will only lead to sin through a distortion of Law and Gospel. Please read that entire article from Rev. Woodford and share it with your family and friends, because it's truly one of the best I've read from a Lutheran on this subject. In fact, you can read all of Rev. Woodford's "Missional" themed papers here. I just left a "missional" LCMS church, mostly because the works side of it was making me crazy confused!! People were so missional minded that they weren't even being real people. The Lord led me to the most sincerely gospel based protestant church possible. Whew!! Peace prevails and healing begins. The congregation is real - no one is obviously trying to appear "missional." They're just there to repent, worship and praise. It's all about Jesus - not our missional calling... and that's when mission truly and authentically begins - when our hearts are completely centered on Him. I'm sorry, but I'm a little confused by the nature of your comments due to the fact that it begins with "Let's see if I read this correctly..." Also, I'm not sure what you mean by "people were so missional minded that they weren't even being real people." It seems like you may be asking me if your understanding (as summarized and written above) is a fair assessment of what this article/commentary was trying to communicate. If so, then I would say, yes, that's pretty close I think. In short, we could say that the Pastor I referenced above was simply trying to remind his fellow Lutheran brothers and sisters of all the reasons why they call themselves "Lutherans" in the first place (and the importance of making sure our confession -- doctrine and practices -- match what it actually means to be Lutheran, otherwise, we're frauds/hypocrites/liars and ultimately deceiving ourselves and others). Hope that helps. Please forgive me if I misunderstood your response.